Connie Magnuson - School of Kinesiology, Univ. of Minn. Program coordinator and site leader: Created an experientially based adventure travel program to address the academic and personal needs of a diverse population of urban youth ages 16 to 22. Program director: Managed entire program involving all aspects of planning, operating and evaluation of 180-200 domestic and international tours for persons with disabilities annually. Safely lead both domestic and international tours for groups of up to 40 adults with disabilities. Handled all aspects of the tour including all logistics, budget, supervision of tour staff, vacationers, medications, and handling emergencies and behavioral problems. Director of education and human resources: Recruited, screened, trained, supervised and evaluated tour leaders. Developed and supervised volunteer program involving approximately 500 volunteers nationwide. Community center/day camp director: Planned and coordinated a wide variety of leisure programs and special events to meet the needs of community members of all ages. Family teacher: Operated residential treatment program for children and youth with behavioral and emotional problems. Responsible for development and implementation of treatment plan in coordination with teachers, parents and community leaders. 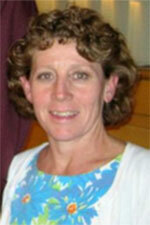 2006-current, University of Minnesota, Minneapolis, Minnesota, Senior Lecturer, School of Kinesiology. 1992-1997, University of Minnesota, Minneapolis, Minnesota, adjunct faculty, youth development leadership program. Course title: Personal Development and Experiential Education: High Intensity Outdoor Experience. 1993-1994, Mankato State University, Mankato, Minnesota, adjunct faculty, Department of Recreation and Leisure Studies Course Titles: Review of Outdoor Recreation Research, Budget and Finances. 1992-1993, St. Cloud State University, St. Cloud, Minnesota, Assistant Professor, Department of Physical Education, Recreation and Sports Science. Responsibilities included: Major advising, student growth and development, community service, university committee service, research and scholarly development. Course Titles: Introduction to Recreation, Leadership Techniques and Theory, Recreation Programming, Recreation Administration l and ll, Recreation Law. 1987-1992, University of Minnesota, Minneapolis, Minnesota, instructor and trip leader, School of Kinesiology. Instructor course titles: Leadership in Outdoor Recreation, Recreation Programming, Leadership in Social Recreation. Trip leader course titles: Programming in Outdoor Education, Wilderness Programming, Leadership in Outdoor Recreation. 1987-1989, University of Minnesota, Minneapolis, Minnesota, teaching assistant, School of Kinesiology. Course titles; Therapeutic Information for Recreators, Introduction to Therapeutic Recreation, Therapeutic Recreation Services, Leisure Education for Special Populations, Leisure and Mental Health, Recreation and Aging, Foundations of Recreation. 1987-1992, University of Minnesota, Minneapolis, Minnesota, guest lecturer, School of Kinesiology. Course titles: Camp Counseling, Foundations of Outdoor Education, Orientation to Leisure and Recreation. 1992, doctor of philosophy in education, concentrations: recreation, parks and leisure studies; outdoor education and therapeutic recreation. University of Minnesota, Minneapolis, Minnesota. 1989, master of arts in recreation, parks and leisure studies, concentrations: outdoor education and therapeutic recreation. University of Minnesota, Minneapolis, Minnesota. 1985, bachelor of science in recreation and park services: recreation administration. Wayne State University, Detroit, Michigan.